The Primary Peach: Creating "Shape Pictures"
Hello and Happy Memorial day! 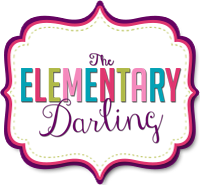 It's Erin from The Elementary Darling. How are you spending your day honoring those who lost their lives in service to our nation? I am writing this blog post and spending some time with my family today! 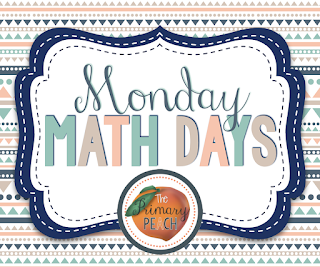 Today is Monday Math Day on the Primary Peach and I am going to talk to you about my favorite shape pictures. 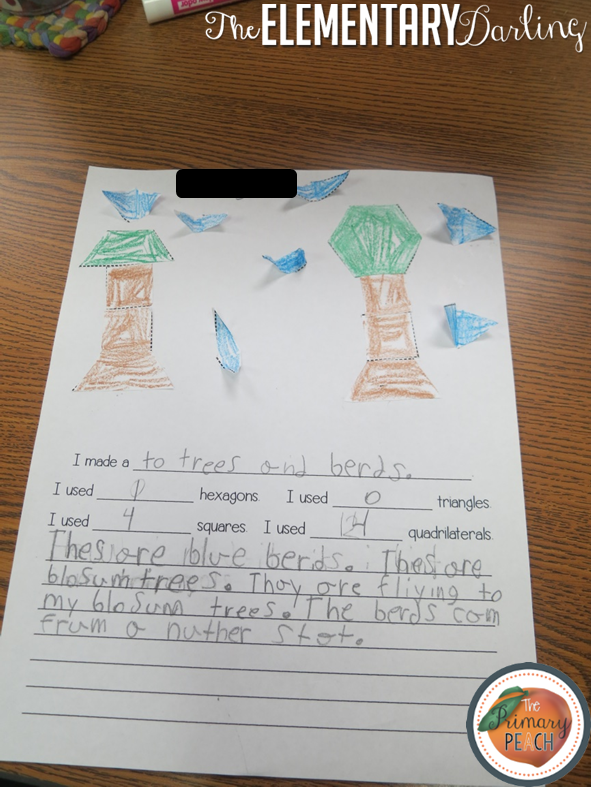 Creativity isn't just great for my gifted firsties. When I taught other groups of students, this particular activity gave them the same creative freedom and they did just as well on it, if not better. There are a few ways you can approach this activity. I did this after I had taught the vocabulary and showed the students examples of the shapes. 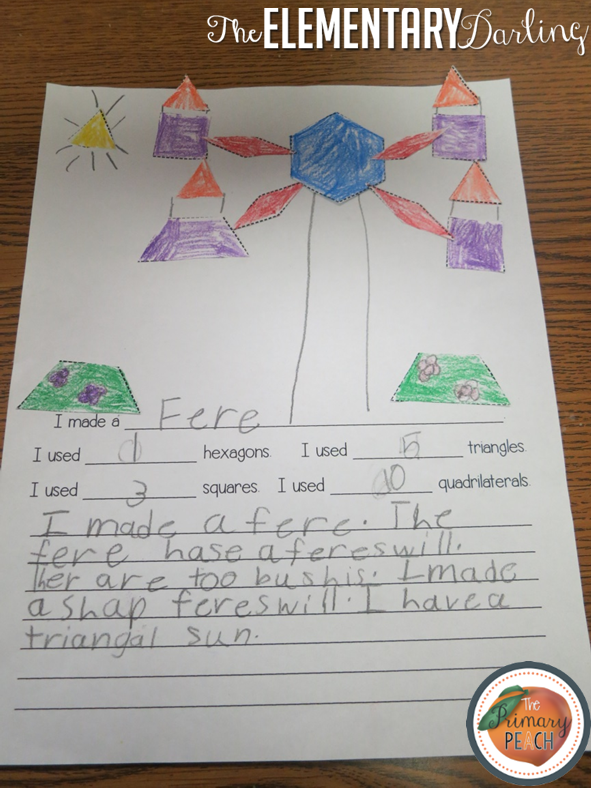 The students can trace the shapes or cut them out. This time, I had the students cut out the shapes on a pattern block printable I had from several years ago. I also gave them an easy printable I just typed up. I really wanted them to work on identifying quadrilaterals, hexagons, triangles, and squares. 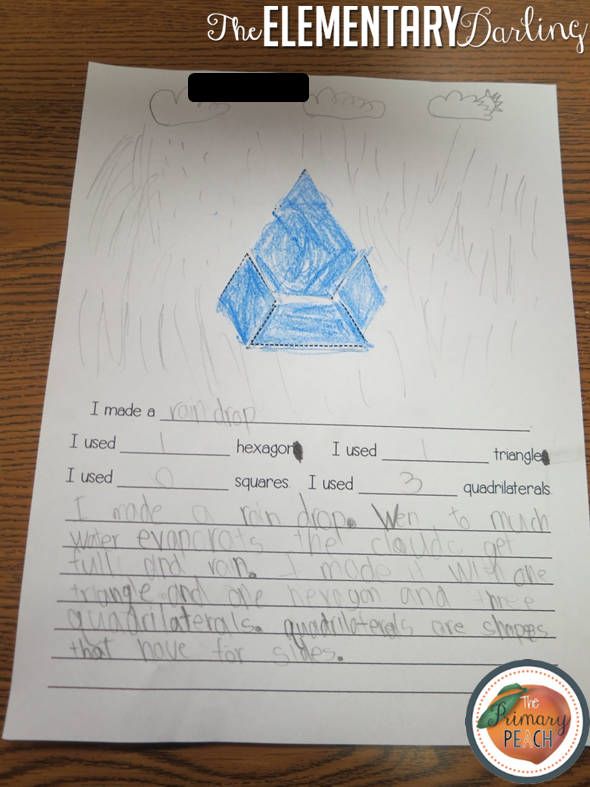 You could modify this to include any shapes that you wanted! 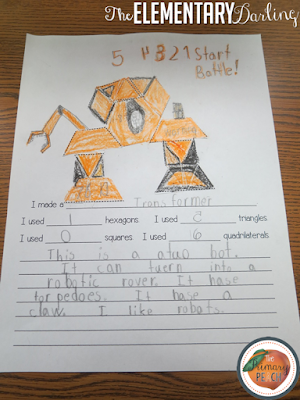 I wanted to show you some of the amazing examples that my students this year did. Until you give them the freedom, you just never know what they will come up with. I was so proud of their pictures. They really stepped outside the box. Some of them even had 3-D elements! 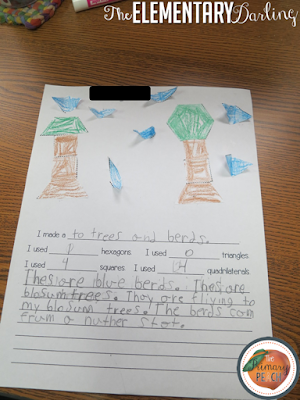 I love how this one has the birds flying off the page! This activity also gives them some space to write and explain their drawing. 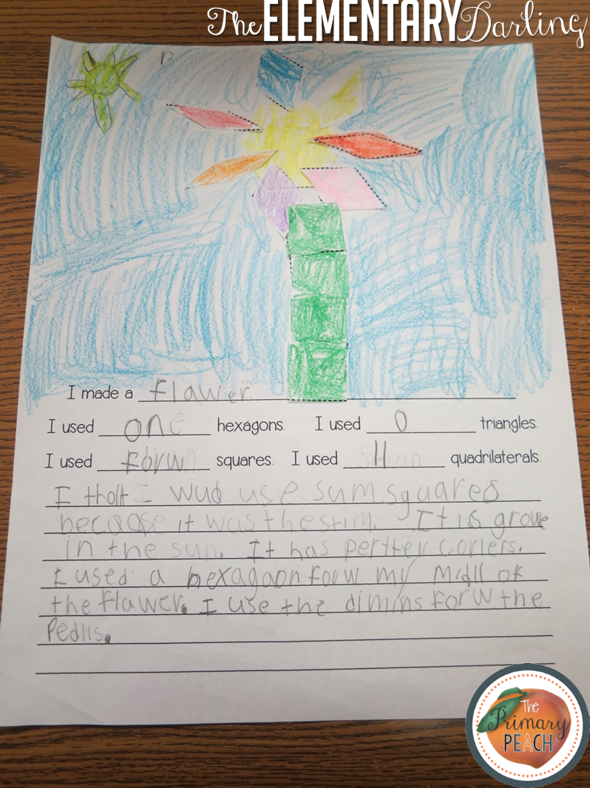 I love incorporating writing into math! I hope that you can use this activity and that you love it as much as I do! You can download the shape picture I used here for free! Have a wonderful rest of the week!